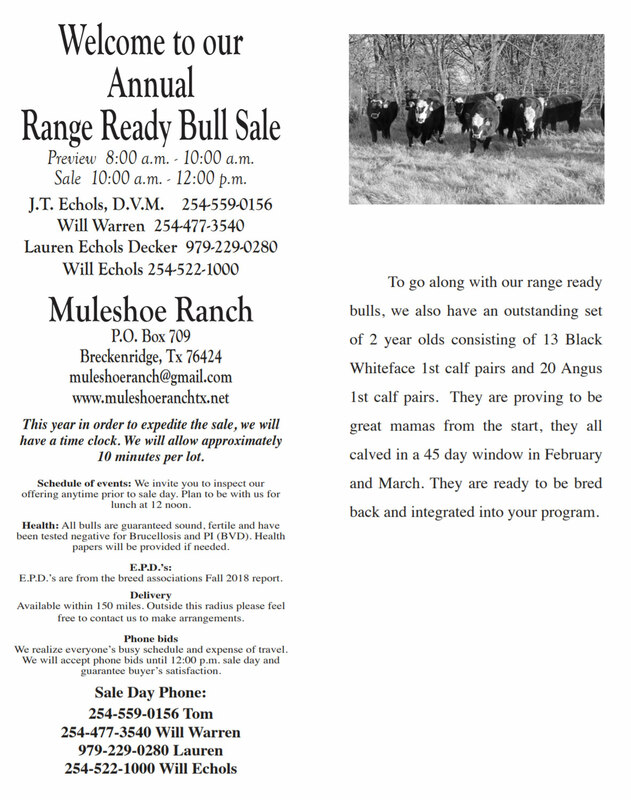 The Muleshoe Ranch was established in 1878 by Henry Black and his family in Northeastern Stephens County along the banks of the Clear Fork of the Brazos River. This ranch is home to horned Hereford and Angus cattle. Wildlife on the ranch includes whitetail deer, wild turkey and Bobwhite quail. 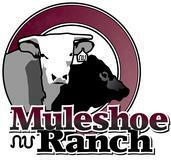 Currently, the ranch is owned and operated by the 5th generation. 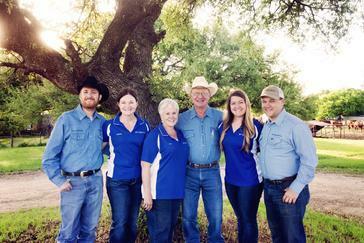 Dr. Tom & Lisa Echols & their family have been managing the ranch since 1990. When Tom took over the management of the ranch, he began to study trends in the Hereford & Angus breeds to incorporate more artificial insemination into the operation. He wanted to integrate breeding trends that would increase muscle mass and milk production in the herd. Our entire family is proud of our rich heritage in animal husbandry and commitment to the land, and we are grateful to be a part of the cattle business.